Are you a year-long slicer? What does that mean? Well, if you have linked to TWT with a slice for 40+ weeks between March 2014 to the present then you fit that category. Please indicate that you are a year-long slicer in your comment to be added to our list here! 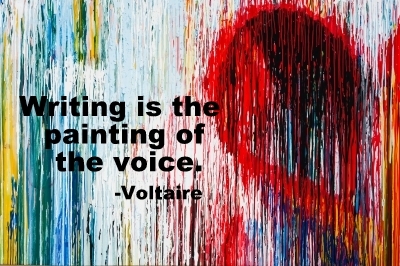 Put your voice on a canvas and share the image of your thoughts. ← Writing Day and Night! And yes, I’m a year long slicer (just completed year three). Anger in rhyme… I like April’s poetry, and hate April’s testing. . .
P.S. When I grow up, I want to be a year round slicer… I try… I try… I try.. .but haven’t succeeded yet! A simple little reflection on the best parts of my day. 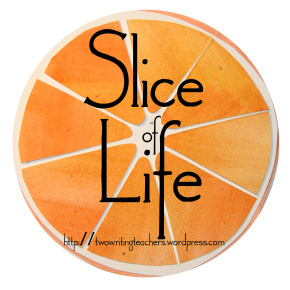 I have been a year-round slicer since I finished my first March challenge…I was hooked! A sleepless night with racing thoughts equals an abundance of art. This year-long slicer is coming in late. And I wish I were a year round slicer. I try to be but it is almost easier to write daily than to get it posted once a week. Ahh the power of a regular habit! Thanks, TWT, for the challenge that is always there! Yes, I am a year long slicer. A little late, but I’m here for the Tuesday SOL. Started in January so next year I hope to say I’m a year long slicer. New to slicing! Just started in the March challenge but hoping to continue each Tuesday! I’m not a year-round slicer yet, but that is my goal! A poem anticipating spring with all its abundance–it’s not quite here yet! It always finds me, no matter how hard I try to avoid it. Not a year long slicer yet (but ask me again next March). Thinking about the good and bad of living alone- commenting later! Kids need time to try on different hats. Not a year long slicer, yet. This slice is about a small moment of extra recess. okay okay, re-reading this… I just want you to know, I really do know I sound insane and silly. I just love to read!!! You can live 1000 lives and never leave your room. The bad thing is, you never leave your room. We finally have some spring weather and we hit the playground to enjoy a little fresh air! What’s the difference between being healthily social/enjoying the company of others and being unhealthily dependent/incapable of doing things alone? Life lessons from a young 19 year old girl who lost her battle with cancer this week. So glad to be slicing with you all. This is the beginning of a series on learning as I’m currently seeing it EVERYWHERE! I did it! I sliced this week! A little haiku on a rainy morning. Feeling guilty. Ideas pop into my head, but making time to sit down and write hasn’t happened as much as I would like. Glad to write today. Happy to be a year-long slicer. Last week I wrote a very short slice. Today I share the story behind the slice. Yes, I’m a year round slicer – 4th year now. Today has been a struggle, but thanks to my Memory questions, I came up with a slice. Flying kites then and now. A lesson I learned from the month of March writing … life happens and the stories are there to tell. And, yes, I’m a year round slicer! 🙂 My 5th year of slicing all year! I am a rear round slicer! There is a lot that needs to by done on any typical day. Today I played and created for a friend. Happy to say I’m a year long slicer! Reflections on the dash. Apologies for the overuse– I couldn’t help it! I am a year long slicer. Today’s slice is about change, which seems to be a necessary evil. Having fun with National Poetry Month and a little “spine poetry” for teachers. I’m pretty much a year round slicer. And so grateful for the support of this community. A beautiful, beautiful prayer shawl arrived on my porch last night from Margaret Simon. I didn’t write about that, though, because I’m doing April Poetry Month with Mary Lee Hahn. Her theme for the month is PO-EMotions. We are on day #14. Today is desire. And for sure, I’m a life-long Slicer!!!! Ask me again this time next year and I’ll say “yes”. For now, I am a 2x-March, plus 2-Tuesday slicer! http://mywritingstoriesbysally.blogspot.com/2015/04/before-thata-poem-written-by-pigeon-who.html A poetry form to use as a retelling strategy in Reading Workshop. 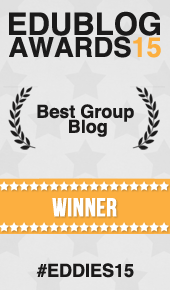 So proud to be a “year – long slicer” and love the support from this community. Thinking about “routines” this morning. . . some might be quirks, some might be helpful, but how do I really know? Learning to read. A prose poem for poetry month. Yes, I am a year-long slicer. I’m not going to go back and count, but I’m pretty sure I had more than 40! Today’s slice is about the start of testing in NYS today..I’m sure that our students, like the daffodils that are so late this year, will each bloom in their own time….not all will bloom today! Yes , I am a year-long slicer. Trying poetry again this week! Thanks Fran for the idea. https://bohemiotx.wordpress.com/2015/04/14/slice-of-life-tuesday-mourning-computer-meltdown-while-hailing-avast-4-14-15/ But the week started with cyberspace success in Poland and India. Thanks for telling us year-rounders where to post! I did one last Tuesday too and just started as a regular Slicer this March. THree nights alone – my hubby is in the hospital. Betsy I love your quote & the presentation too. I think I’m already on the list, but yes, a year-round slicer. Today, sharing a slice of sunshine poetry. It’s my 14th day of writing haiku. The Ospreys Are Back! Join me on another walk to discover the return of one of conservation’s success stories. Took my daughter to an early matinee today and realized change! I’d like to go back now. Nature is the ultimate classroom.